We’ve been battered and bullied by the horrible winter weather for months now, and finally the sun is beginning to peek out from behind the clouds – just in time for Spring. Therefore, it’s the perfect time of year to give your home that little lift it needs, and incorporate some exciting flashes of Spring colour to update tired and deflated spaces. Bright pops of colour in fresh and uplifting hues will enliven any sort of space, and are the perfect way to add colour and interest to white or grey spaces, creating a unique contemporary look in any room. Vivid Spring shades will also continue to look great well into the Summer months, helping to illuminate the sunshine and light that will fill your home. 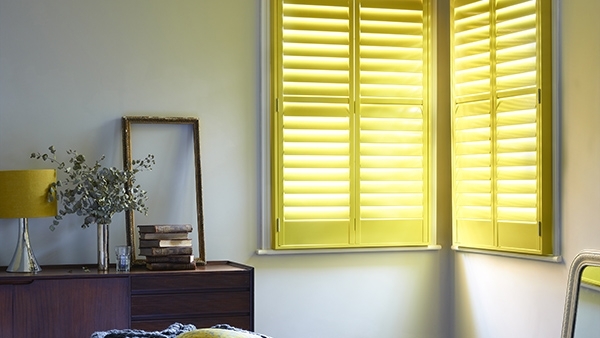 To bring this colour trend into your home, look out for stimulating shades like greens and yellows and use Shutterly Fabulous’ colour matching service to combine them with your shutters. These are the perfect shades for spring, evoking the vibrancy of the outdoors and providing your home with a chic contemporary scheme that’s right on trend this March.